How do you get a group of people who meet once a year to get to know each other, create something special as a team that benefits organisations working with children, do it in 2 hours, push them out of their comfort zone and ensure that it’s an experience that will stay with them forever!? 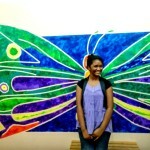 Just paint a mural with the Akanksha children. 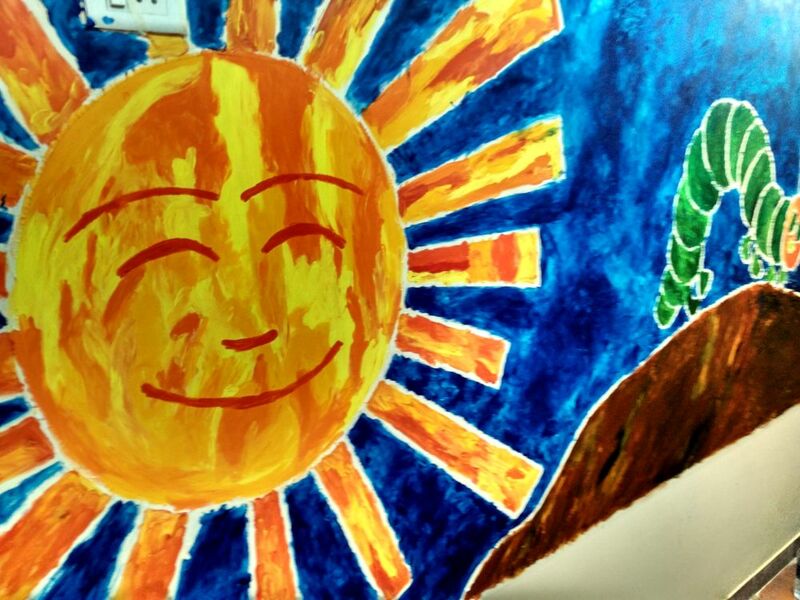 We can paint anything on any surface, any time, any place and with anyone who will paint with us!! 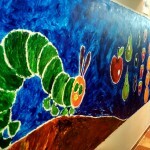 The Akanksha alumni painted a 65 foot long version of Eric Carle’s book ‘The hungry caterpillar’ in 2 hours with a group of Dartmouth alumni. 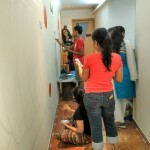 The group of 15 people had not painted in years and certainly not on such a large surface. They meet every year but this was the first time they were meeting in such a unique manner. 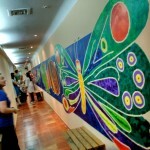 The mural was painted in the Ummeed office. Ummeed’s mission is to help children with disabilities or at high risk for disabilities, reach their maximum potential and be included in society. The experience was one that left everyone feeling good about what they did, felt that they had been pushed to try something new and it was amazing to watch the team and children at Ummeed react to their new wall. 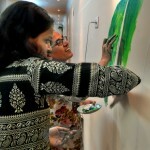 Many thanks to Nandita and Raj who made this happen and for Vibha and her team at Ummeed for having complete faith in Art for Akanksha.